With some snow the road leading in to the white farm building in our neighborhood makes a fine setting for the title of today's photo: "Going home for Christmas". With the washed out sky I took the liberty to add a soft Coffee filter in the sky. 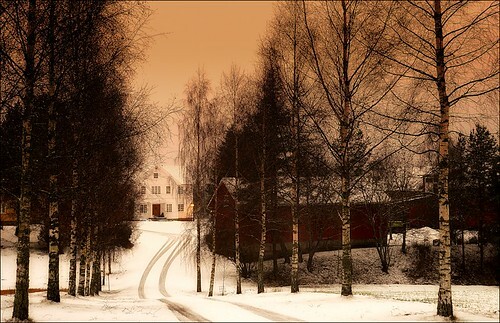 The photo from a farm in the countryside to be found in Norway South-East.